Thatcher - neoliberalism’s "willing tool"
‘Margaret Thatcher is Dead: This lady is not returning!’ is one way of the calmer statements celebrating Thatcher’s demise on my Facebook page. I can’t join the clamour singing ‘Ding dong the witch is dead’, trailing as it does its horrific historical sexism. More sadly, I can’t see anything to celebrate. Whilst this once formidable Tory trailblazer is dead, her ideas are more resurgent than ever. 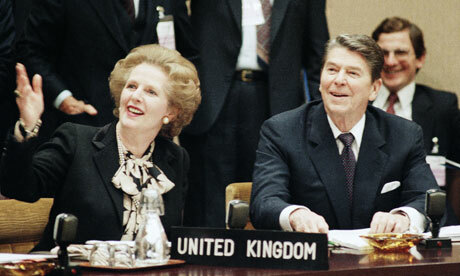 Neither Cameron nor Osborne will ever be damned as a warlocks or necromancers – this rarely happens to men – yet it is thanks to them that Margaret Thatcher dies triumphant. Thatcher’s success, like that of her pal, Reagan, was that through a combination of shrewdness and luck she could ride the high tide of corporate capital’s determination to increase profits by rolling back all the popular gains of the postwar settlement. She was neoliberalism’s willing tool, rather than something unique, evil or otherwise. Of course there have been impressive flurries of resistance, and for a while in the wake of the Occupy movement, grass-roots dissent was back on the political agenda. Networks of resistance are active around the country, especially in defence of the NHS. Yet those eager to dance on Thatcher’s grave have much thinking to do, when there remains such a lack of connection between protesters and mainstream politics. Indeed, as Paul Mason admits in his book celebrating all the new protest movements around the globe, Why It's Kicking Off Everywhere, most of the people he interviewed ‘were hostile to the very idea of a unifying theory’. Yet it is surely some sort of compelling counter-ideology and alternative strategy to the ubiquitous rule of market forces that we are desperately in need of if we are ever to safely bury Thatcher. Although the rich few get richer and the rest of us poorer, the left has yet to strike any real chord with the broader public. We know that it was Tony Blair, or ‘Blairism’, which – as Thatcher knew – did so much to entrench her legacy: with his seamless endorsement of market values and public veneration for wealth and celebrity, even as it furthered cynicism about politicians and politics generally. We have headed so far down that stream, it is hard now to turn things around. It took the extraordinary conditions of the Second World War to create the Labour Party’s comprehensive commitment to welfare, albeit of a conservative and authoritarian kind. The reforms and nationalizations inaugurating the British welfare state, post 1945, were based on the deliberate spread of a consensus that it was economic insecurities and domestic unhappiness that created unhappy societies: ‘many of the maladjustments and neuroses of modern society’, as Bevan explained when Minister of Health, arose directly from poverty and insecurity. When will our politicians say these words again? Any direct action, movement politics or coalitions of resistance we build today has to find ways to influence national government to reaffirm that mind-set, hopefully with more creative agendas than hitherto, before we can bury Thatcher. And since I began with a feminist note, let me also end there. Some women have argued that it was Thatcher who provided the best role model for helping women release their true potential. No she did not. She was the perfect role model for the ever deepening gulf between women, as the privileged few have been able to rise to the very heights of political or corporate power, even as the majority of women, affected at every turn by the rolling back of welfare and the politics of individual success she promoted, are ever more firmly left at the bottom of the heap. 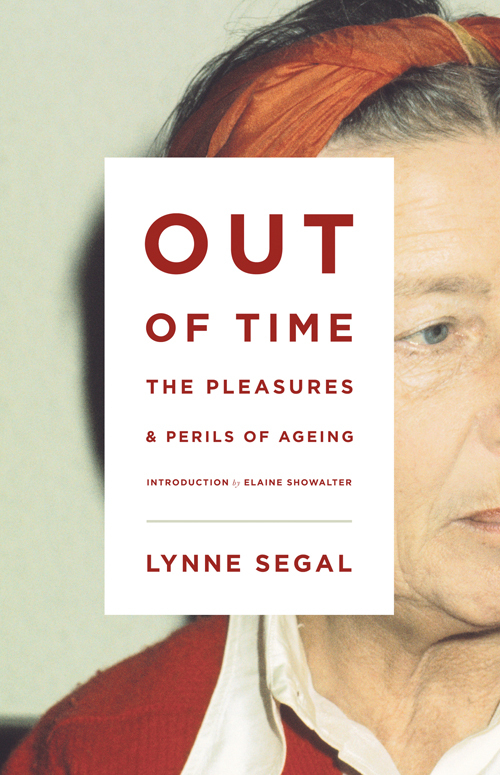 - Lynne Segal is the author of Out of Time: The Pleasure and Perils of Ageing - publishing in the Autumn from Verso.